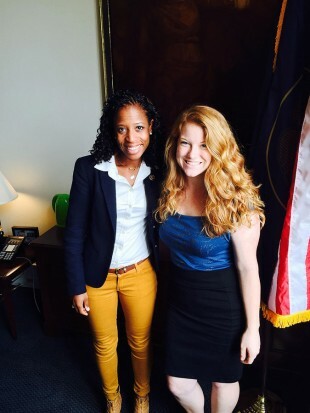 Salt Lake Community College student Courtney Jones enjoyed the opportunity to intern for Rep. Mia Love in Washington D.C. this past summer. 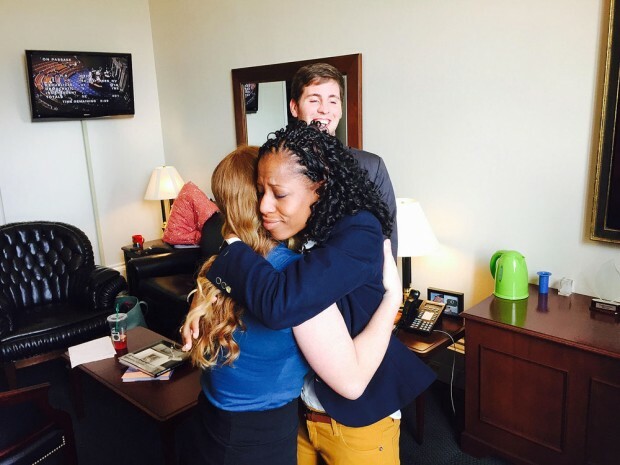 After submitting a resume and going to an interview at Rep. Love’s office, Jones was chosen for the internship that lasted May through August. The internship gives SLCC students the opportunity to learn about government and politics in the nation’s capital. Although her interactions with Love were limited due to the congresswoman’s busy schedule, Jones still enjoyed her duties as an intern. She also helped with constituent correspondence and answered phones. Though Jones considers herself an Independent when it comes to political parties, she found herself agreeing with many of the issues that Love supported, but not all. “She always talks about children being the future, and is adamant about [making] information about colleges and universities [more] accessible to future students,” Jones says. The experience had a lasting impact on Jones, and opened her eyes to what life is really like in Washington. Though Jones took fall semester off to teach English in China, she will soon graduate from SLCC with a degree in General Studies. To view some of Courtney’s increased writing skills due to her internship, keep your eyes open for Op-ed written by Courtney and some of her fellow interns in article that will soon be in the Deseret News.